Nothing beats the ease of entertaining in Spartanburg when you have a beautiful patio and pool, so let our swimming pool remodeling services make it easy. 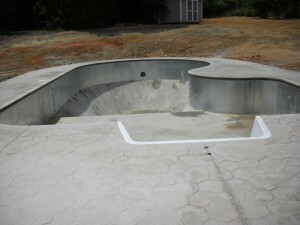 Swimming Pool Remodeling in Spartanburg – Is your pool in disrepair? If so, it may not only be ugly, but also draining your budget by needing excessive chemicals to keep it running. If you have been feeling like you wish you didn’t even have a swimming pool, have no fear, because our swimming pool remodeling services can transform your Spartanburg, South Carolina pool and get you back to enjoying it.